Four Years After the Slush Fund Scandal: Where Does the UW Stand? The UW System came under fire in 2013 after members of the CPA Caucus uncovered a hidden $1 billion “slush fund” made up of program revenue (PR) balances. Legislators were livid that the UW System continued to increase tuition and ask for more state funding if they had these surplus funds hidden away. What do these balances look like today? In their report on the UW System (FY 2015-16) released in April of 2017, the Joint Legislative Audit Committee highlights a rather large Program Revenue (PR) balance in the UW System. The total PR balance increased from $1.182 billion in FY 2015 to $1.188 billion in FY 2016 – a 0.5% growth. You read that right – four years after being required to start spending down the slush fund, or unrestricted PR reserves, the total balance actually grew in the last year. That’s why it’s still important to ask for an independent, comprehensive audit of the entire UW System. The report also notes that unrestricted program revenue – which includes tuition, auxiliary operations, general operations, other unrestricted program revenue, and federal indirect cost reimbursement – has decreased by $40.6 million from 2015 to 2016. This unrestricted revenue is the value of the so-called “slush fund,” which amounted to $883.3 million at the end of FY 2016. It seems as though the UW System is taking steps to bring down the surplus funds, but considering it still has $883.3 million cash on hand, there’s still plenty of room to improve. For perspective, this slush fund value is equivalent to more than 85 percent of the state support given to the UW in FY 16. Below is a graph of the total program revenue values, broken down by unrestricted and restricted balances. Before the CPA Caucus discovered the surplus funds in 2013, there was no official reporting system to track the UW System program revenue. Note: Unrestricted program revenue balances are different from our past coverage for FY 2012 and FY 2013 due to a change in UW System reporting policies. The values presented here come from the latest Legislative Fiscal Bureau Informational Paper, published in January 2017. Since the scandal broke in 2013, UW System officials have continued to argue that they only have access to unrestricted program revenue and that the majority of those funds are set aside for specific projects already. The UW System has an incentive to manipulate these numbers – the smaller their surplus funds, the stronger case they can make for more state funding to the UW. After discovering the slush fund, the Wisconsin Legislature took action and created a set of rules and guidelines for the UW System to follow to improve financial transparency. The Board of Regents was officially required to create a reporting method for program revenue balances with Act 20, the 2013-15 biennium budget bill. 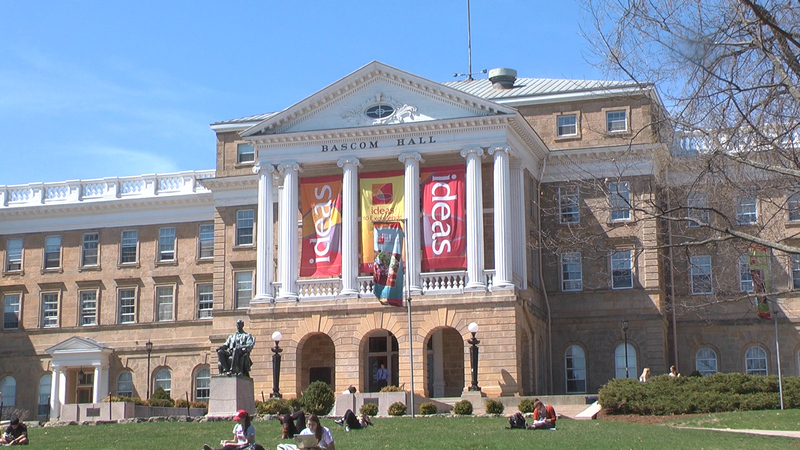 They adopted policy 21-6, which requires any UW institution with balances over 12 percent of their expenditures to submit a spending plan and any university running a deficit to submit a cost savings plan. These surplus funds were the main impetus for Gov. Scott Walker’s tuition freeze that began in 2013, as well as a number of budget cuts made that same year. The logic behind this was if the UW System has such robust balances, they can afford to pay for new initiatives themselves rather than riding on the back of the taxpayers. If the UW System has healthy balances and money laying around, then why do they continue to cry poverty and beg the state for more funding? “More than 2/3 of this surplus was generated by unjustified tuition increases over the last three years. In other words, [then-UW President] President [Kevin] Reilly and the Board of Regents knowingly jacked-up tuition by 16.5% on Wisconsin families over three years even though the funds weren’t needed. These actions are nothing short of a betrayal of the public trust,” then-Representative Steve Nass (R-Whitewater) commented after the slush fund discovery in 2013. The report indicates that the UW System’s net position, a measure of the overall financial condition, decreased slightly – $6.7 billion to $6.6 billion from FY 2015 to FY 2016. The UW System may try to use this as leverage to obtain more state funding, but this small change was largely attributed to new pension accounting standards. There are still some flaws with the reporting system, as the LAB noted there are inconsistencies in program revenue values due to some universities incorrectly categorizing certain balances. For the 2017-19 Operating Budget, the Board of Regents requested $42.5 million biennially in GPR for their “2020FWD” initiatives. Overall, Gov. Walker’s proposed 2017-19 budget would send $2.2 billion in GPR to the UW System across the biennium. MacIver will keep you posted as Joint Finance Committee deliberations continue this week.